This page is still under construction. Check back for updates. 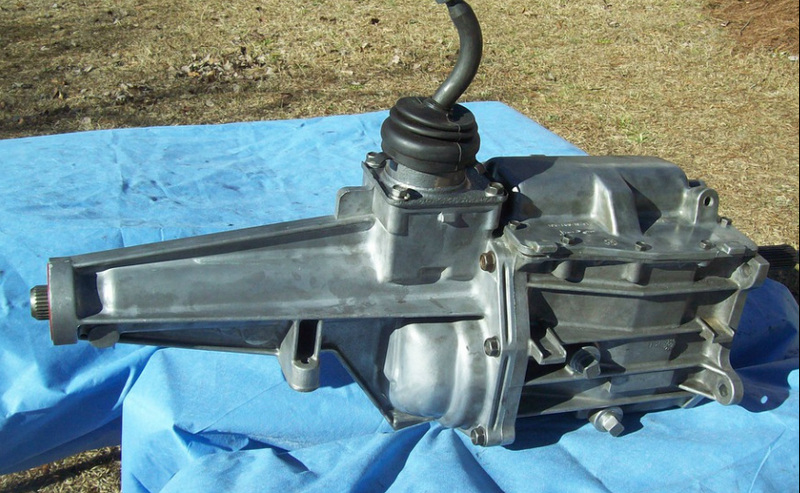 I'd like to show you the various steps I used to build a hybrid T5 transmission. It's a hybrid because it combines parts from a Camaro T5 and an S10 T5. This particular type of modification is commonly referred to as an S10 conversion. The basic idea is to move the shifter location up next to the case by installing an S10 case cover and tail housing on a Camaro T5. Moving the shifter up next to the case makes the shifter location work well with a bench seat. 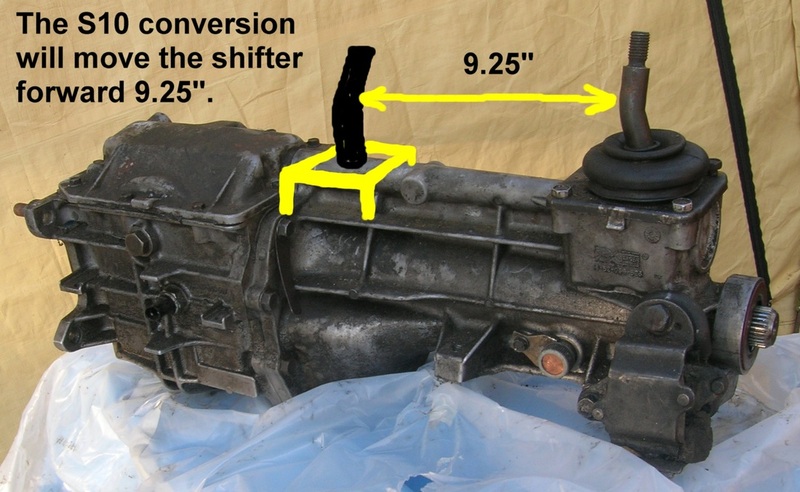 This conversion moves the shifter forward about 9.25". Here's the end result. This is the same Camaro T5 as the one in the 1st photo, but AFTER the S10 conversion was done. It looks like an S10 T5 on the outside, but it's really a Camaro T5 on the inside. Here's a list of what I used to build my Camaro T5 - S10 conversion. 1. A non-world class 1984 V8 Camaro T5. 2. The tail housing and case cover from a non-world class 1983 S10 T5. 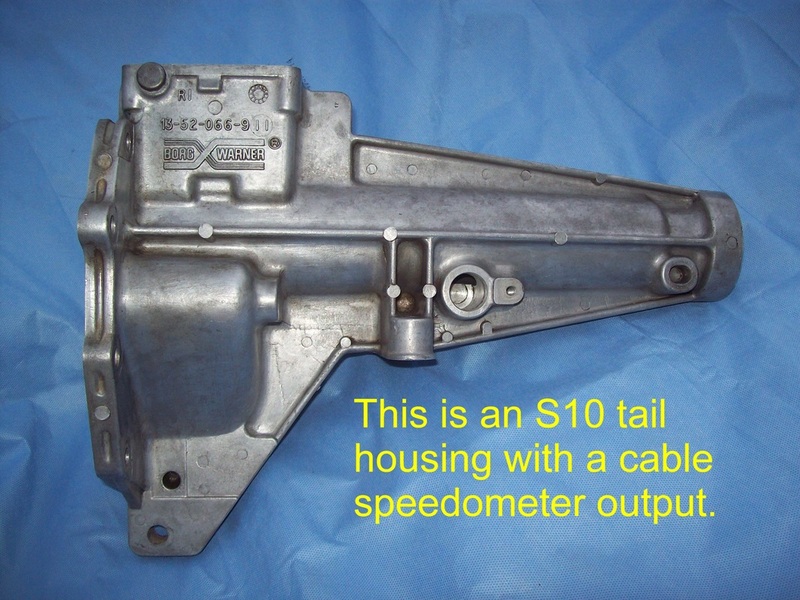 The cable speedo tail housing from a 1986 and earlier S10 (or GMC S15) is hard to find but you will need it if you want to use a cable driven speedometer. 3. 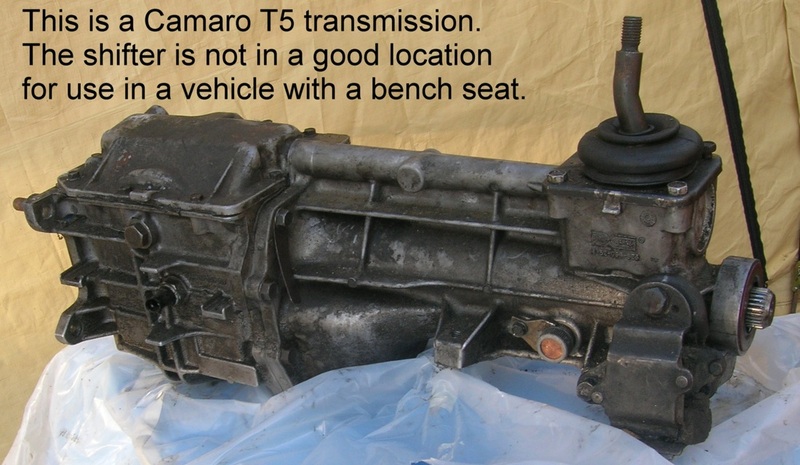 A shifter from a Camaro T5 or S10 T5 (or other suitable shifter). 1. Remove the tail housing and case cover from the Camaro T5. 2. Since my T5 needed a rebuild, I did that next. I rebuilt it using the S10 main shaft instead of the Camaro main shaft. 3. **Relocate the Drive Gear on the main shaft. If you rebuild the T5 using the S10 main shaft, then you don't need to relocate the Drive Gear. 4. Install the S10 case cover and S10 tail housing. 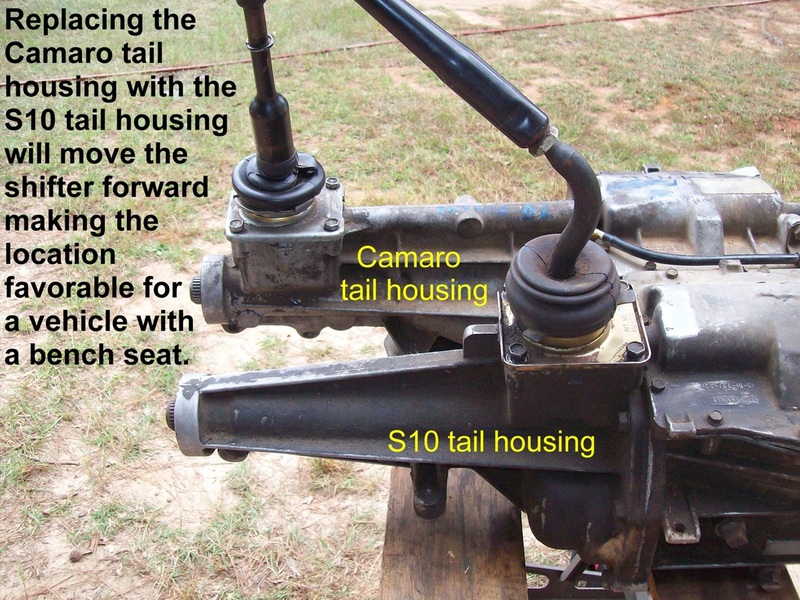 **If you use the original Camaro main shaft, then you will need to make a minor modification to relocate the speedometer Drive Gear. Since I used the S10 main shaft instead of the Camaro main shaft, I could skip the modification. It saved me time and was logical since I already had the transmission apart.